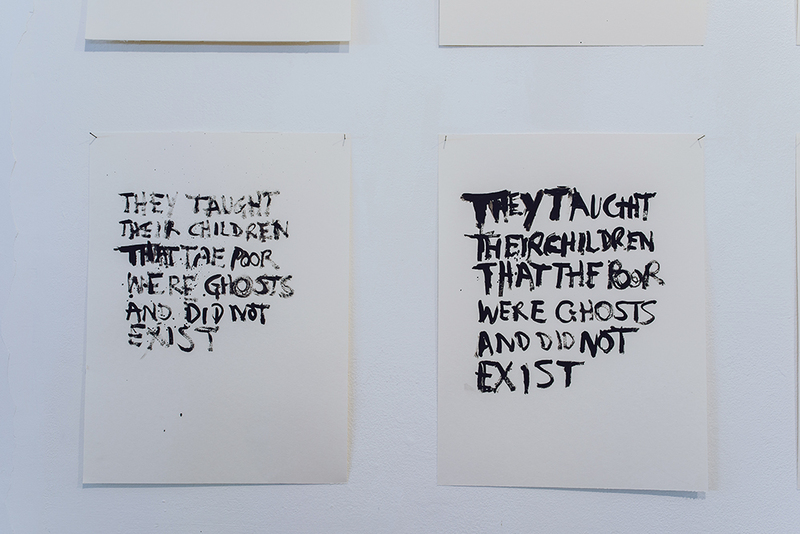 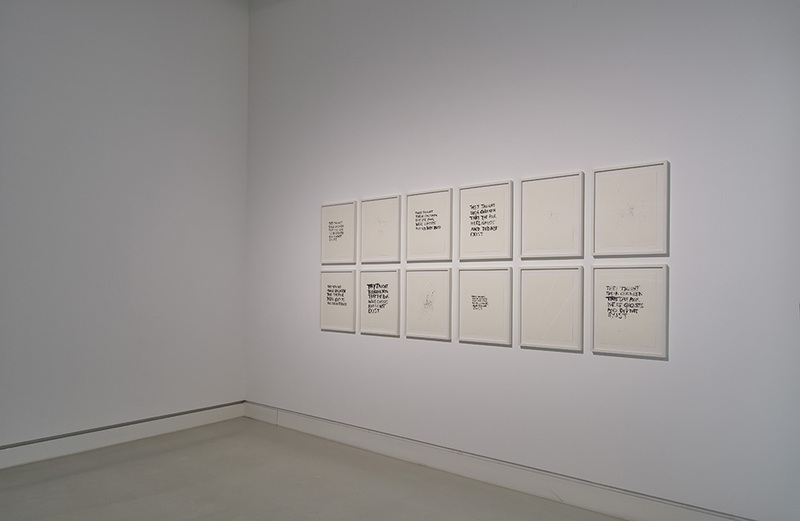 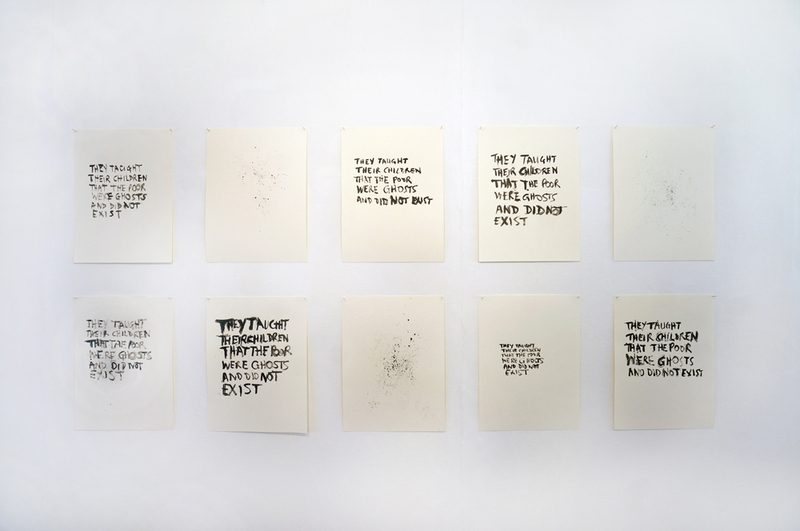 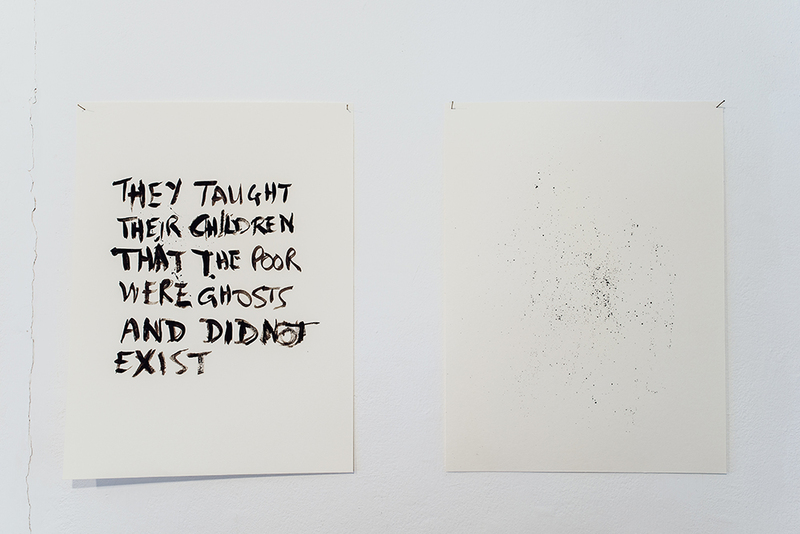 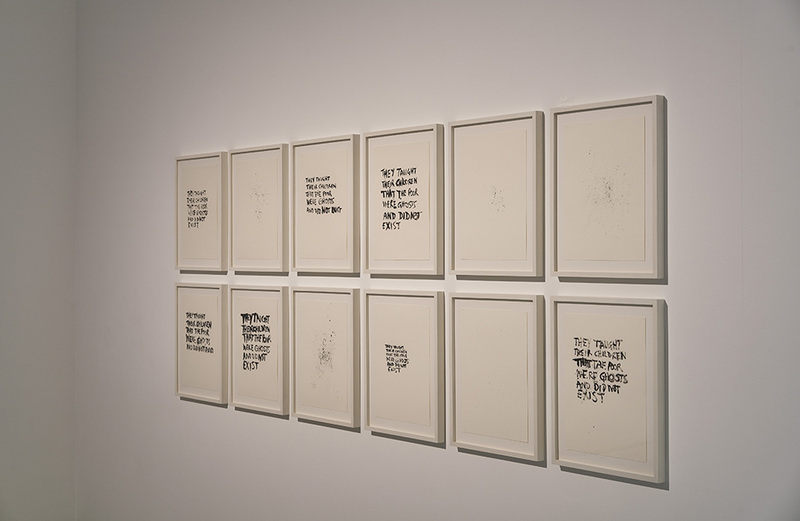 Ghosts is a set of 12 drawings, most of them versions of a single phrase – “They Taught Their Children that the Poor were Ghosts and did not Exist” – painted out repeatedly in black acrylic on separate sheets of paper. 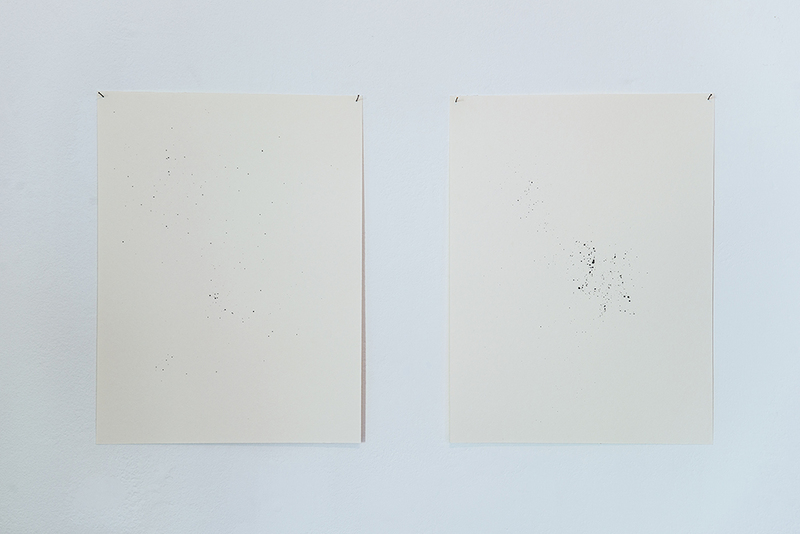 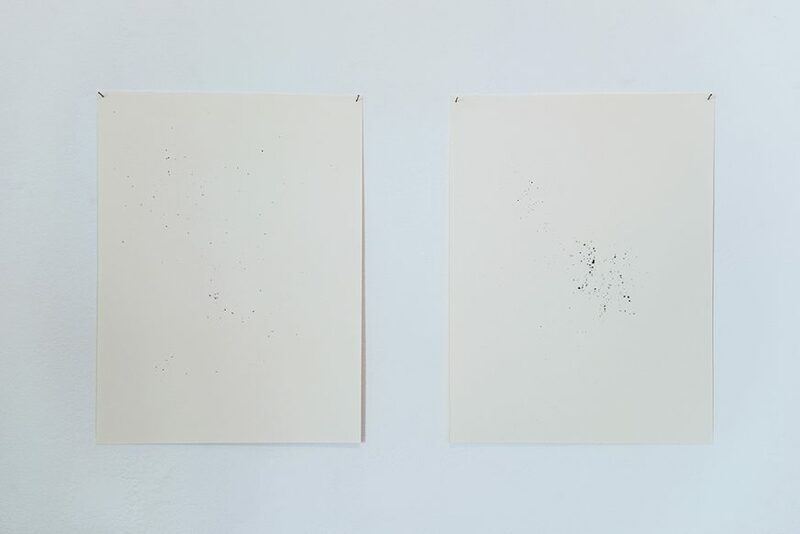 Alongside the versions of the phrase, the series also contains a number of minimal pieces in which black paint has been splattered on otherwise empty pages, the residual marks of painting mirroring the ghosts, or cancelled presences summoned in the text. 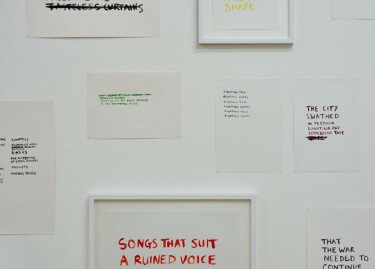 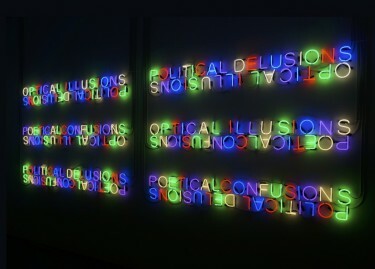 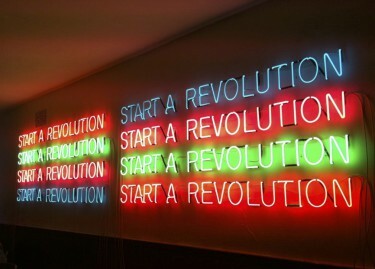 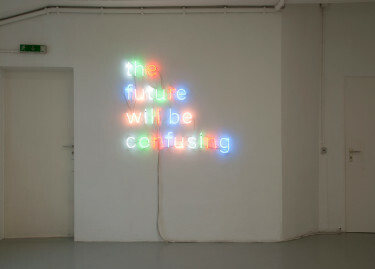 In Ghosts, the at times hallucinatory language repetition and change that we see in Etchells’ neon works – Mirror Pieces (2014), Will Be (2010) and Revolution (2010) – and the playful language-cloud of his drawing series Personal Statement (2015), give way to a variation produced through a more blunt, trap-like task and the act of rote repetition. 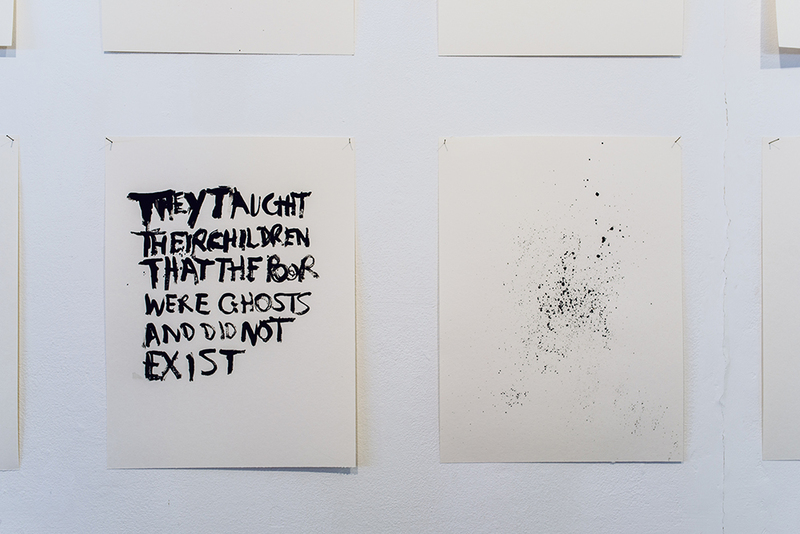 As in his neon and LED pieces, Etchells’ drawings and prints often draw on his broader fascinations as an artist, writer and performance maker, exploring contradictory aspects of language – the speed, clarity and vividness with which it communicates narrative, image and ideas, and at the same time its amazing propensity to create a rich field of uncertainty and ambiguity.